Inspired to serve, I spent the following year searching for the perfect opportunity to volunteer. I heard that the Plainfield Illinois Police Department was looking for volunteers to join their short-staffed Plainfield Emergency Management Agency (PEMA). Needless to say — I immediately signed up. Despite a group of only 6 members, PEMA was definitely on the upswing when I joined. In the wake of 9/11 it seemed everyone recognized the importance of emergency preparedness and wanted to serve their hometown. Today, PEMA has 30 highly trained members, including a certified search and rescue team, trained weather spotters, disaster preparedness crews and more — all ready to help others when called upon. Just as PEMA’s network has expanded over the years, my passion for volunteering has continued to grow. Throughout my 16 years with PEMA, I’ve risen through the ranks: from a volunteer to Captain. 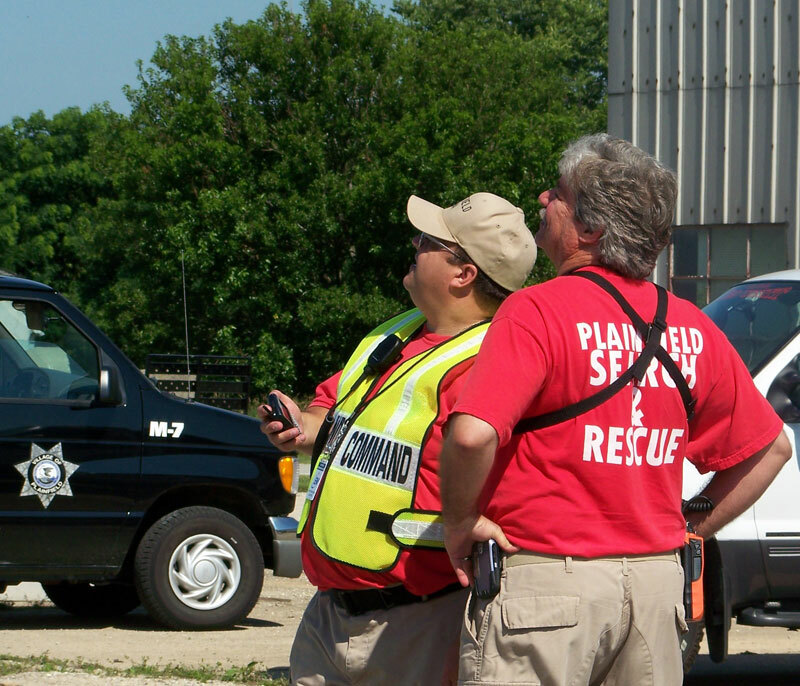 One of my proudest moments to date was managing the largest civilian search day in Plainfield, where I coordinated over 450 community volunteers. Now, I volunteer 400–500 hours annually. While I joined PEMA out of a sense of patriotism, my service there has come to define who I am as a person. I’ve made lasting friendships. I’ve had the opportunity to earn my Illinois Professional Emergency Manger certificate. And I’ve been able to do this while still advancing my career at AT&T as a senior systems engineer. I’m lucky to work at a company that not only affords me the flexibility to volunteer, but encourages me and others to serve their communities. As we continue to celebrate National Volunteer Month, it’s important to remember why we serve our community. Everyone needs a helping hand occasionally, and as Americans, it’s our duty to be there for our neighbors. Here’s my little secret: I’ve gotten a lifetime’s worth of new experiences and friends, along with a valuable, free education that I will never forget. I can only hope I’ve given half as much as I’ve gotten back.